If you want to know about the various technical details about your installed computer hardware then you need special tools or utilities for them. There are some big professional utilities available that provide you the information about your system hardware but the problem with them is that they are paid and requires installation on your computer. This means first you have spent some money on them and then they eats up space on your hard drive. Also, some of these programs are trial version and you can use them for a certain limit, after which you have to buy the license key for full usage. So, here I am going to list down some of the best tools or utilities for windows that are completely free, requires no installation (standalone/portable), have very small size or footprint and provides you the complete hardware details about your computer hardware, that includes your CPU, Motherboard, RAM, Graphics Card / Video Card, Hard Drive, Sound Card and other components installed in your computer. Some of these utilities or softwares can also read the sensor information and provides you the temperature reading of that component for monitoring purpose. 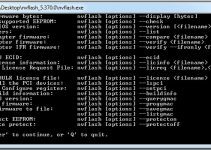 These utilities are also known as system info tools, hardware detection tools, PC info tools, windows hardware info utilities or system monitoring tools. Note: These free system information tools cannot provide information about your PSU because power supply does not contain any sensors and it does not require any drivers for its working. This is due to the fact that it is not connected to your operating system or system BIOS directly or indirectly. Here are the best system info tools or system monitoring tools for your CPU, Video Card, Hard Disk and for other hardware components in your PC. 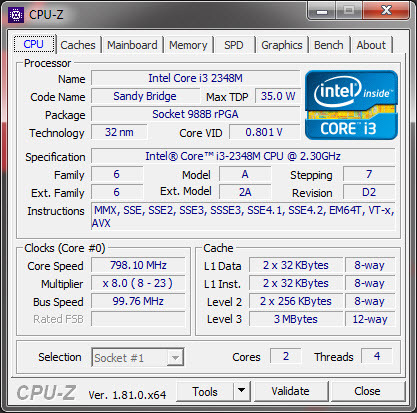 CPU-Z is the most popular utility for detection of CPU, Memory and Motherboard specifications and other parameters in your computer. Using this small tool or program, you can find out everything about processor that includes its frequencies, multipliers, code name, voltage, cache, cores & threads, socket type, fabrication technology and the instructions it supports. You can also see the real-time frequency and multipliers during different loads. This small software can also detect your motherboard chipset, BIOS details and its manufacturer. Other important use of this utility is to detect your RAM timings, frequencies, type, size, mode and manufacturer which can come very handy when upgrading your system memory. CPU-Z can also tell you some details regarding the graphics adapter (integrated or discrete) in your computer. It also includes a small benchmarking component to benchmark and stress test your CPU. CPU-Z is available in both portable and installable setup for windows (32-bit/64-bit). 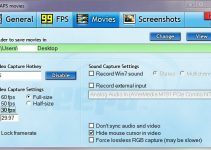 This is a must have hardware utility that you should have in your computer. You can download it for free from the link given below. 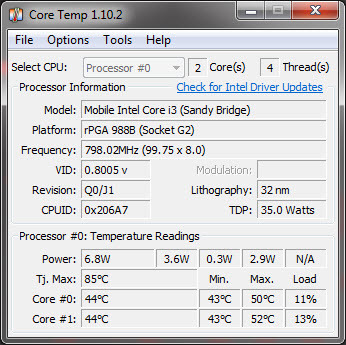 CoreTemp is no doubt the best temperature monitoring tool for CPU or processor. This is a very small program and can show you the temperature of each core of your processor. It supports both Intel and AMD processors and requires Microsoft Windows XP, Vista, 7, 8, 10, 2003 Server, 2008 Server (R2), 2012 Server. Using this program you can monitor your CPU cores temperature, load at each core and power in wattage. This CPU temperature monitoring program is available as both executable file or as a standalone version so that you do not need to install it on your hard drive. CoreTemp is very accurate and should be on your computer drive. You can download it for free from the link given below. 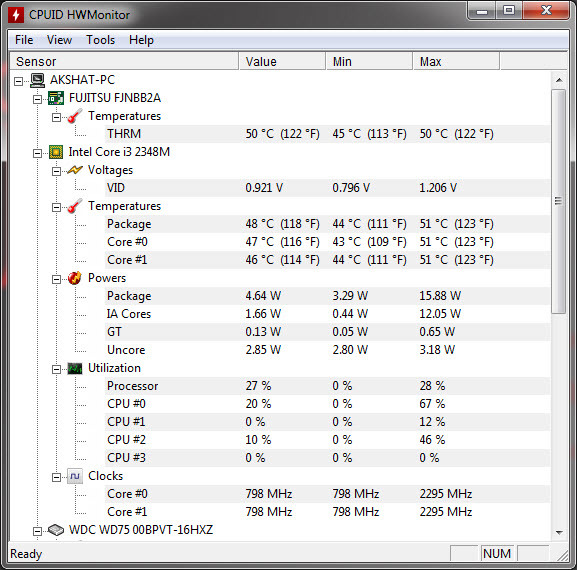 Real Temp is another temperature monitoring program designed for both Intel and AMD processors. 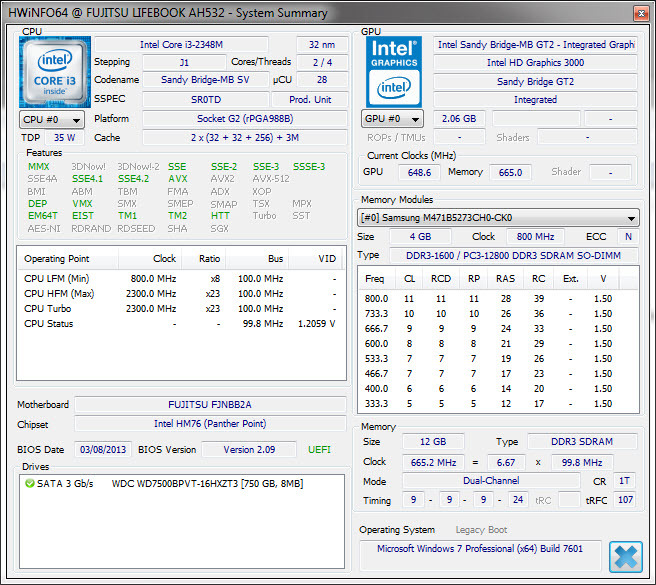 Like CoreTemp, it can also measure the temperature of individual processor cores to great accuracy. It also shows you the load and frequency of the CPU in real-time. This program also displays the TJMax, CPUID, APIC ID and Calibration settings. This program does not require installation and can be run directly from your hard drive only. It includes support for Windows 2000 / XP / Vista / Windows 7 / Windows 8 (32 & 64 bit) and you can download it for free from the link given below. 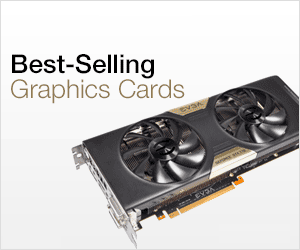 GPU-Z is a GPU information utility designed especially for graphics cards. It can show you the complete details of your graphics card or video adapter. GPU-Z can tell you about your graphics card GPU, its architecture, manufacturing process, number of shaders, pixel fillrate, memory type & size, memory bandwidth, GPU and VRAM clock speeds, GPU temperature, VBIOS version and a whole lot of other details. GPU-Z support Nvidia, AMD and Intel graphics cards or adapters and is available for free to download and use. It includes support for Windows XP / Vista / Windows 7 / Windows 8 / Windows 10 (both 32 and 64 bit versions) and you can download it for free from the link given below. 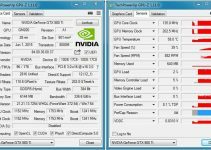 For Graphics Card, I have already posted complete list of tools and utilities that you can use to find complete information about them. You can check them out by going to the links given below. For monitoring your hard drive / SSD health status and temperature, CrystalDiskInfo is the definitely the best utility around. It can tell you about your hard drive specifications & parameters, temperature and by reading S.M.A.R.T. data it can tell you about your HDD health status. It also tells you about the number of hours, your hard disk is powered on. CrystalDiskInfo also supports Intel RAID and USB Hard Drives or SSDs. This small utility does not require installation and can be run from a pen drive also. You can download it for free for Windows from the link given below. HWiNFO or Hardware Info is one of my favorite freewares to find out details about every hardware component installed in your computer. It can tell you about your CPU, RAM, Motherboard, Graphics Card, Hard Drive, Networking components and other hardware components in your computer. You can create reports and monitor your components temperature and voltages in real-time by using this amazing system info tool. This is a complete hardware analysis and monitoring software for windows and is available for both 32-bit and 64-bit systems. It is available in installer and portable version, and you can download it for free from the link given below. HWMonitor is a complete hardware monitoring program for your computer. It detects all the sensors of your hardware component and tells us about the temperature, voltage, fan speed and other parameters related to that specific hardware. On laptop, this program can also tell you about your battery wear level. HWMonitor is available as both installable and portable version for windows. 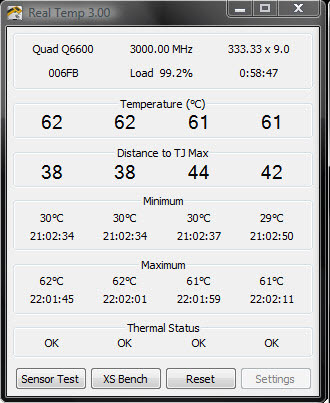 There is also a pro version (HWMonitor Pro) available that adds some additional features like remote monitoring, graph generator and improved interface. You can download the free version from the link given below. Recommended by me. 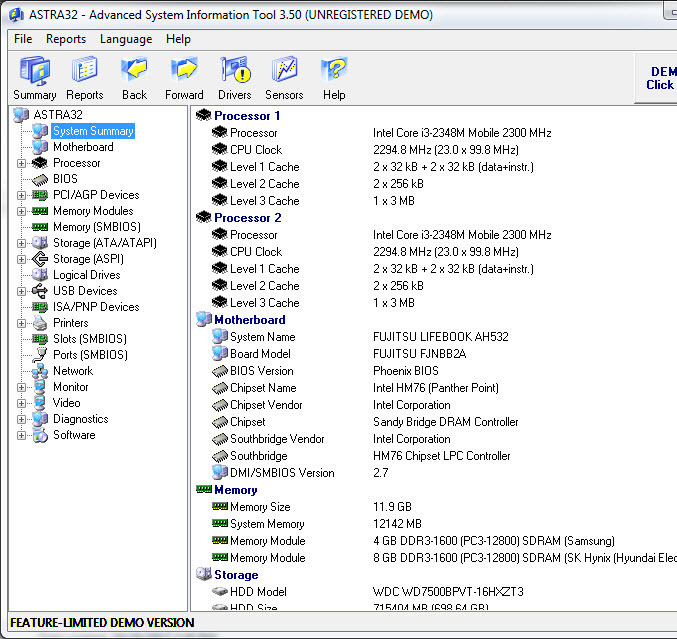 ASTRA32 is an Advanced System Information Tool & Reporting Assistant that can list all the hardware components with their details installed in your computer. You can also monitor your components or devices temperature, voltages etc. as it can read all the sensors of your components. It is a great hardware detection tool and is one of my favorites. It supports both 32-bit and 64-bit Windows OS and is available as self installer and in portable variant. You can download it for free for personal use from the link given below. Highly Recommended by me. SpeedFan is a small program that can sense the temperature of your hardware components (with sensors) and can change the fan speed accordingly for better cooling or for silent operation. It can also monitor the voltages and can read the S.M.A.R.T. data of your hard drive. On some systems, speedfan can also change the FSB which is an additional feature. SpeedFan supports Windows 9x, ME, NT, 2000, 2003, XP, Vista, Windows 7, 2008, Windows 8, Windows 10 and Windows Server 2012 and requires installation on your computer. It is unarguably the best fan control software to adjust or alter your fan speed settings as per your requirement. It is a freeware and you can download it for free from the link given below. 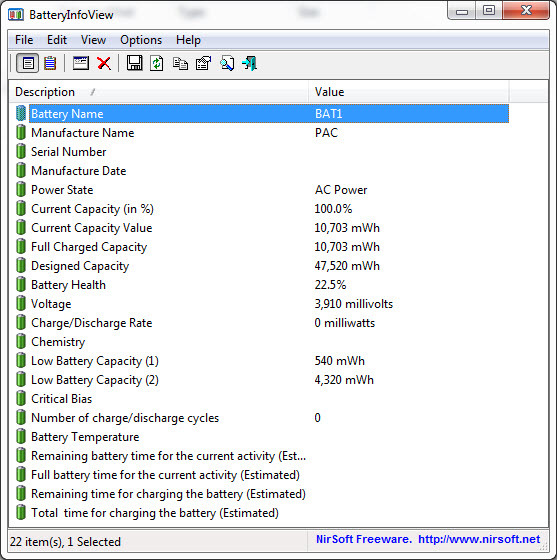 BatteryInfoView is a small standalone program that reads the information of your laptop battery and tells you about its health. It shows all the important parameters of your battery so that you can know about its current health and can change the battery at the right time. This is a free program and you can download it from the link given below. Getting to know your computer hardware is very important for any user. These above mentioned system info and monitoring tools are totally free and will make your life much easier. I think these tools must be on everybody’s computer hard drive as they come very handy in detecting any issues with your hardware or if you plan on upgrading your computer hardware. If you have any doubts regarding these hardware tools or want to suggest something then please leave a comment below.